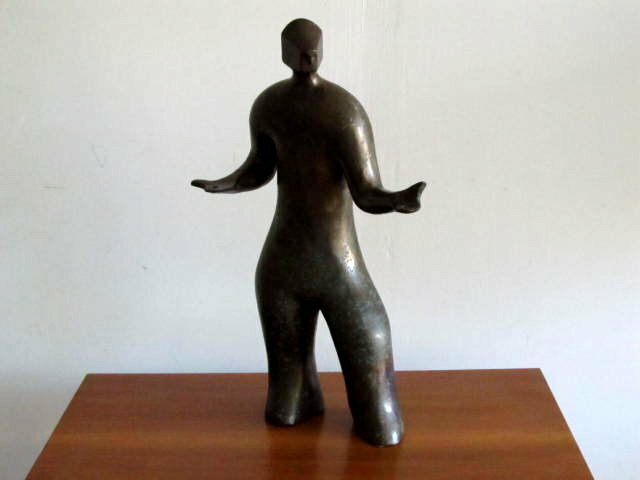 23.5″ H. Unusual bronze figure done by contemporary ceramic artist Fred Yokel. Originally made as one of 3 to be made into a coffee table base. Provenance available on request.